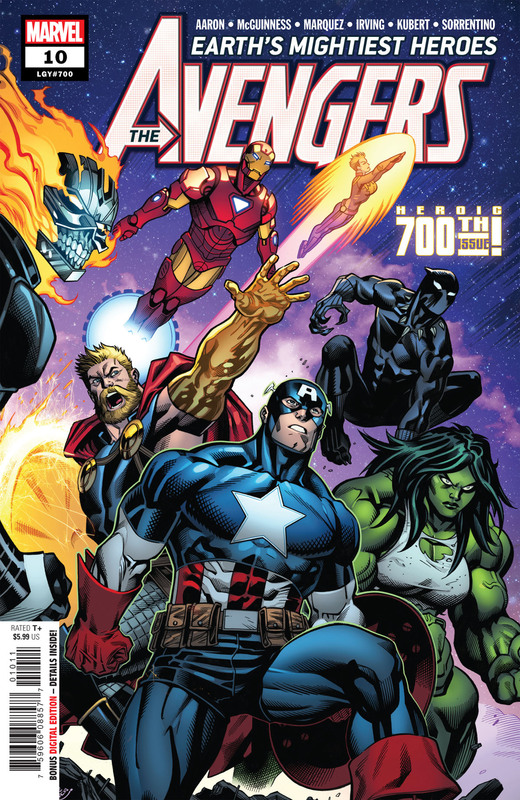 Next week, Marvel is celebrating the 700th issue of The Avengers, even though the legacy number isn’t the primary focus of Avengers #10. Jason Aaron’s run has introduced a new team of Avengers, including Ghost Rider (Robbie Reyes) as the rookie member. While the team is riding high after beating the Dark Celestials, their former friend, Prince Namor, is making trouble in the seas. To be fair, Namor’s got a lot to be angry about. The oceans are hopelessly polluted and Atlantis is in ruins. Now, Namor is fighting back by forming his own team: the Defenders of the Deep. He’s recruited a few of his allies and former enemies, and Namor even killed Stingray for refusing the offer. 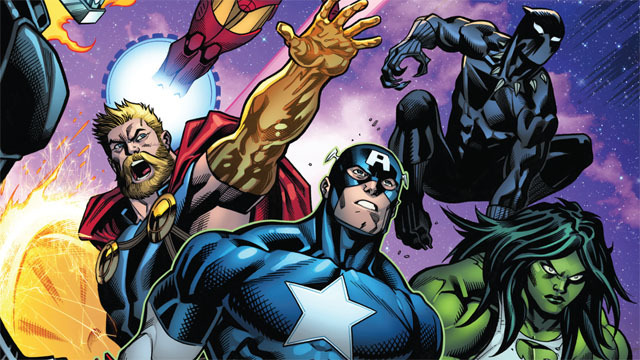 So far, the Avengers haven’t been able to talk Namor down from his current course. In Superhero Hype’s exclusive preview of Avengers #10, the Russians will respond to Namor’s aquatic aggression by reforming the Winter Guard. Russia’s greatest superheroes have largely fallen by the way side, at least until now. Crimson Dynamo is leading the revived team with Darkstar Red Guardian, and Ursa Major. Additionally, the enigmatic Red Widow has also joined the new Winter Guard. Artists Adam Kubert, David Marquez, Ed McGuinness, Andrea Sorrentino will also contribute to this over-sized issue. The backup stories will also shed some light on recent Marvel mysteries. You can read the full exclusive preview in our gallery below. Avengers #10 will be released on Wednesday, November 14. Which of the Winter Guard are your favorites? Let us know in the comment section below!